The fast approaching Maine Day, full of promising events for charity and for fun, has students eagerly anticipating the ongoing tradition at UMaine this spring. This year’s Maine Day will take place on May 3, 2017. Like past years, Maine Day takes place on the Wednesday of the last week of classes during the spring semester. Classes will be cancelled for the entire day, not including labs, which meet less than twice a week. The day will begin with the annual Maine Day parade. The student line up will begin at 8:00 a.m. The crowd will begin marching at 8:30 a.m. and will last until 10:00 a.m. The parade will start at the Emera Astronomy Center and will then move from the Hilltop area down Long Road, which goes through campus. The parade will then travel from Balentine Hall to York Hall and will eventually make its way back to the campus Mall. “My single favorite moment of Maine Day is when the morning parade ends on the mall and everyone sings the Stein Song. For that one moment, we are all one campus,” Lisa Morin, Coordinator of the Bodwell Center for Service and Volunteerism, said. Following the parade, there will be a variety of spring cleaning projects on campus. These are known by the Bodwell Center for Service and Volunteerism as “service projects.” After the parade, students can speak with the staff of the Bodwell Center to register for their various service projects. “We take pride in how our campus looks. We coordinate all different kinds of service projects. There are generally around a total of 50 to 60 service projects going on,” Morin said. These service projects include raking, cleaning up campus, painting, rebuilding offices and much more. Around noontime, there will be a large barbecue in the Steam Plant parking lot. There will also be various activities going on at that time. After the barbecue, student teams can compete in the ooze ball championship, which is volley ball in the mud, a UMaine tradition. “I definitely like the barbecue event. Me and my friends will hang out in the Steam Lot and will support the other events going on,” Hanna Deon, a third-year marine science and English student, said. Deon is in the sorority Alpha Omicron Phi and will be involved in several activities on Maine Day as well. The University of Maine Student Entertainment and Waterfront Concerts will also be presenting rappers Hoodie Allen, Sammy Adams and B Aull, who will perform at the Collins Center for the Arts on Tuesday, May 2. “I plan on attending the Hoodie Allen and Sammy Adams concert with my friends, it should be a lot of fun,” Sam Landry, a fourth-year chemical engineering student said. The show will be free for all UMaine students. Several fraternities and sororities will be organizing events on Maine Day as well. “I’m in Alpha Tau Omega. I will be involved with a few activities on Maine Day. 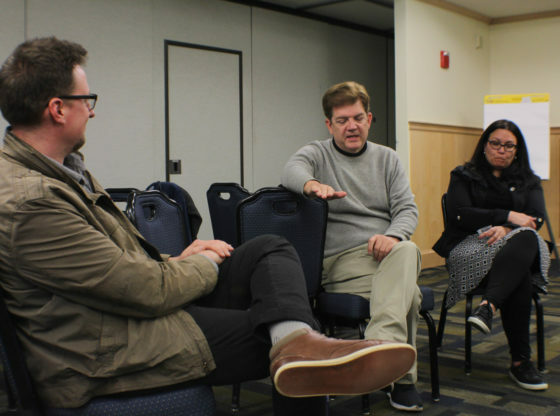 There will be a couple of things going on at the Wilson Center, such as general maintenance stuff,” Charles Zachau, a second-year civil engineering student, said. Zachau said that he and a few fellow of his fraternity brothers helped the Wilson Center build a deck during last year’s Maine Day. “A couple of brothers in my fraternity are also organizing a huge meal packing event on campus,” Zachau said. The meal packing event which Zachau is referring to will be known as the Honors College Maine Day Meal Pack Out. According to Lisa Morin, this will be a new Maine Day event. “We organized a meal pack out on Martin Luther King Day and we were able to pack over 40,000 meals. This got the students very motivated and they wanted to do it again on a larger scale,” Morin said. The Bodwell Center for Service and Volunteerism will be heavily involved in organizing this meal pack out, as well as fraternities and sororities. “This meal pack out will require around 300 volunteers. It’s going to be the biggest independent project on Maine Day,” Morin said. The Meal Pack Out will last from 8:00 a.m. to 12:00 p.m. at the Memorial Gym on campus. “I’m in the sorority Alpha Omicron Phi. We do a ‘Pi a Pi Kap’ event with Pi Kappa Phi. For a dollar, students can pie someone in our sorority and the fraternity and all proceeds go to charity,” Deon said. Deon’s sorority is also involved with some service projects as well. “A lot of our sisters also volunteer for the campus cleanup on the Mall,” Deon said. From the general feedback of students and faculty, it is apparent that Maine Day represents a positive day for the campus community. “I just like walking around and seeing people happy. Everyone is always in a great mood,” Zachau said. “The purpose of Maine Day is to give back to the campus. It’s a service day,” Morin said. Morin has been Coordinator of the Bodwell Center for Service and Volunteerism for the past seven years, this will mark her 8th Maine Day on campus. “It’s important for students to have pride in their campus. Maine Day always brings together unique groups of people which leads to social bonding,” Morin said. Several students also noted that Maine Day was a great way to relax before the stresses of an ending semester begin to kick in. “It’s a good way to connect with people. It’s also great to hang out with friends before finals,” Deon said. For some students, this marks their last Maine Day experience as an undergraduate. “Being a senior this year and this being my last Maine Day makes it more special. This is also the first time that I haven’t had a test the next day,” Landry said. “Maine Day is important for school unity in general. Everyone gets to feel like they are a part of a larger community. People are doing things together for the entire day. 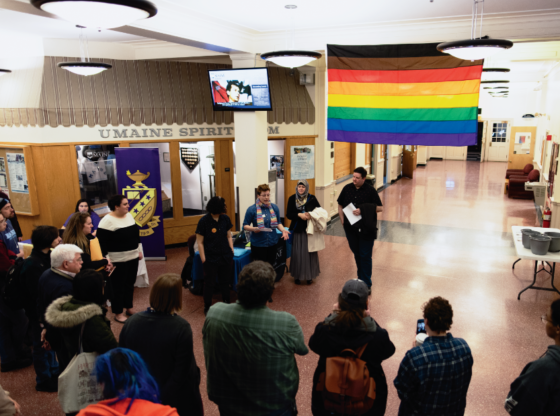 It makes UMaine feel unique,” Zachau said.